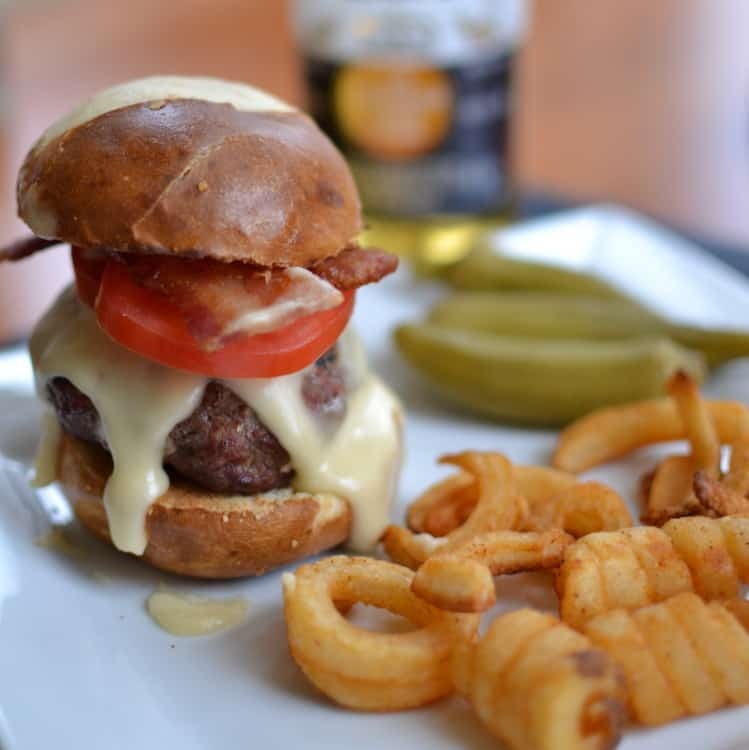 Boy if you have never had a burger with beer cheese you got to do it now! You can add minced onion to the hamburger to keep your grilled burgers nice and moist or you can go commando and leave them out! Wear what you dig or in this case eat what you dig! 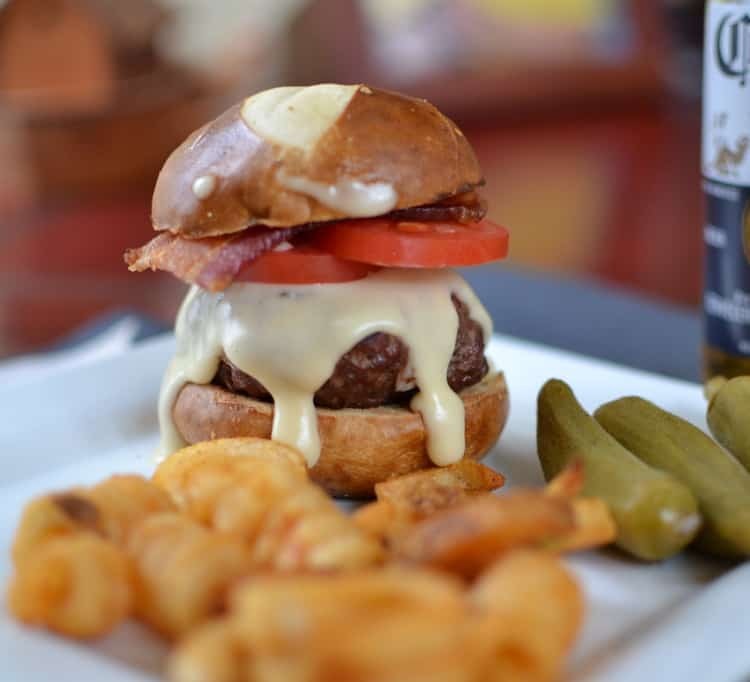 But for goodness sakes you have to use the pretzel bun and the beer cheese. 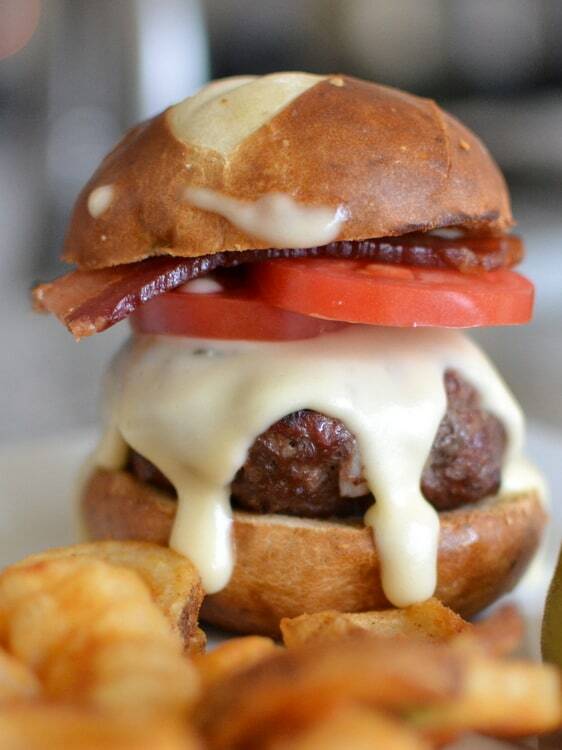 They make the burger extraordinarily delicious! Be sure to toast the pretzel bun and get in nice and warm! Nothing like a nice toasty bun! 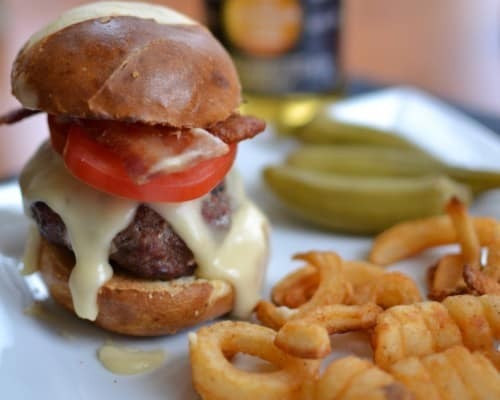 Cook some french fries to go with it and you can dip your fries in the leftover cheese! Mix ground beef and minced onion and form into 4 patties. 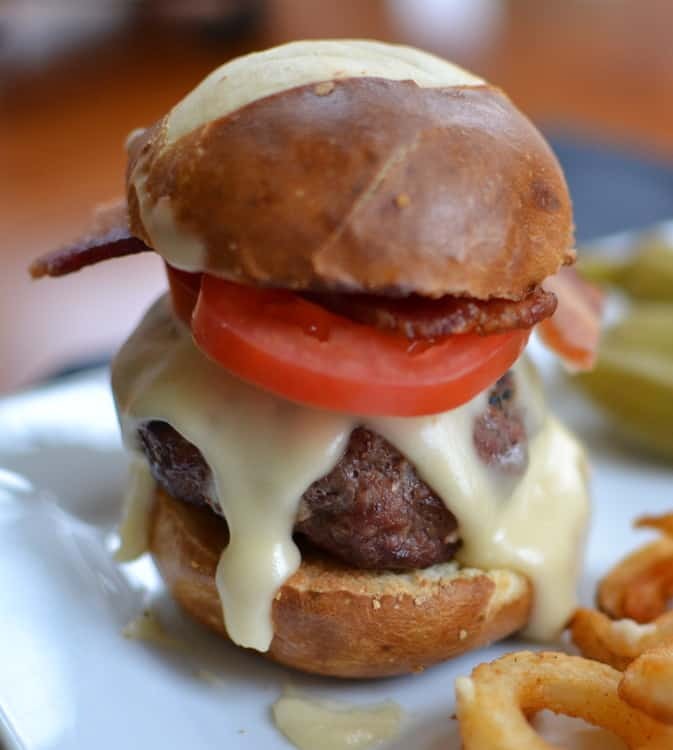 Gently press your thumb into the burgers about 1/3 inch in to keep them from turning too round when grilling. Heat up grill and cook the burgers to your desire. Remove from heat, cover and keep warm. Melt butter in saucepan over low heat. Whisk in flour and cook over low heat until it turns a golden brown whisking continuously approximately 2 minutes. Slowly whisk in beer and cheese alternating between the two and starting with the beer. Cook over low heat until all the cheese is melted. 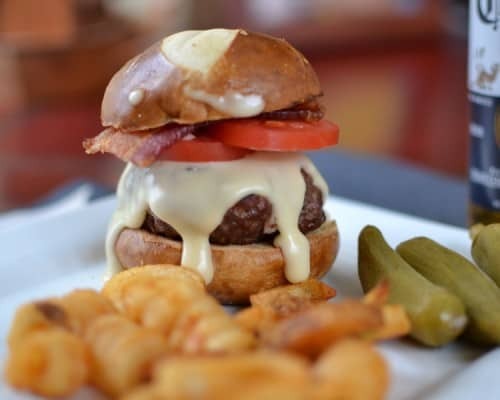 Toast the pretzel buns, Top with burger, bacon, tomato and warm cheese. Do not use any micro brews. I sometimes use a Corona or a Michelob Ultra. Curious – why not microbrews, when there are so many excellent ones? You could certainly use a microbrew but I would stick with one that does not have a flavor that is going to conflict with your burger. Sam Adams Boston Lager would be a good choice…or something like that. I love microbrews.